What can you do to cultivate an environment that supports social emotional learning? Social-emotional learning (SEL) is an important part of student well-being and is linked to improvements in academic success. However, a recent report from PACE (Policy Analysis for California Education, April 2018) indicates there is a lack of clarity and consensus regarding the definition of social-emotional learning, how to implement it, and what it looks like in classrooms and schools. Without a clear and common language, sharing of best practices and learning from one another can be difficult, slowing progress for all. Join RTI International’s Center for Education Services to help clarify those concerns. This webinar will help participants begin to clarify a specific and common vision for social-emotional learning. 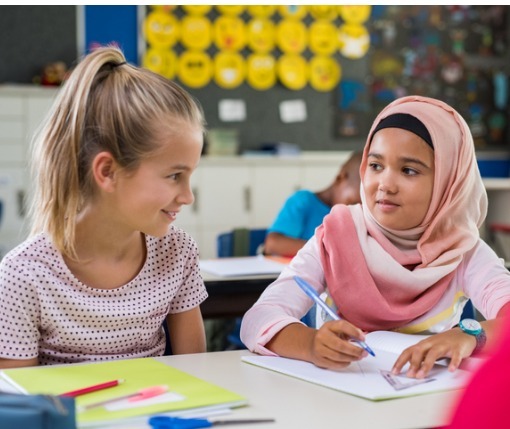 Participants will engage in dialogue as partners to define safe learning environments and to identify common strategies to build such environments, with an emphasis on school, classroom, and district settings that support social-emotional learning. This webinar will provide participants with a common language and implementation strategies, as well as a clear path forward for creating safe learning environments in their classrooms, schools, and districts. Fredrica Nash is a former teacher and expert in educational coaching. She has designed and delivered presentations at state and national conferences on project-based learning, coaching, instructional strategy best practices, and professional development. De McKenzie is a former school administrator, with wide-ranging experience in developing innovative educational initiatives with verified results in increasing academic achievement. He is committed to community engagement, school culture, and innovative instructional practices that prepare all children for success in college, careers, and life.